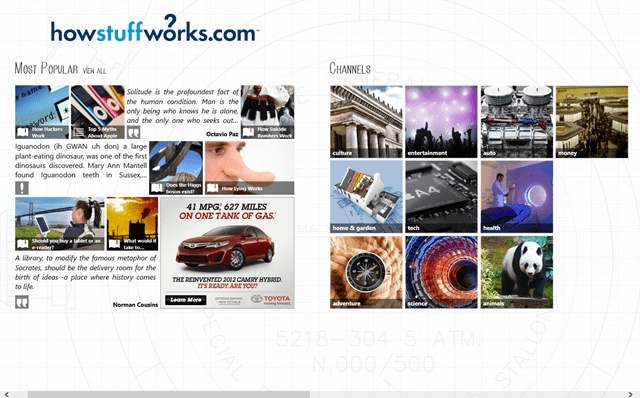 Finally, the popular HowStuffWorks website is now available as a Windows 8 HowStuffWorks app for free, with the help of which you can know about the working and process of various daily usage things. It’s just like when you use an instrument to clean your car or just to cook at home, you actually don’t know about how they work. You don’t go through the details, you just apply them. Sometimes, you end up to a bad situation. Hence, to overcome such issue, HowStuffWorks comes into existence. Now, with the growing recognition of this website, Microsoft has made the website available in the form of a Window 8 app. 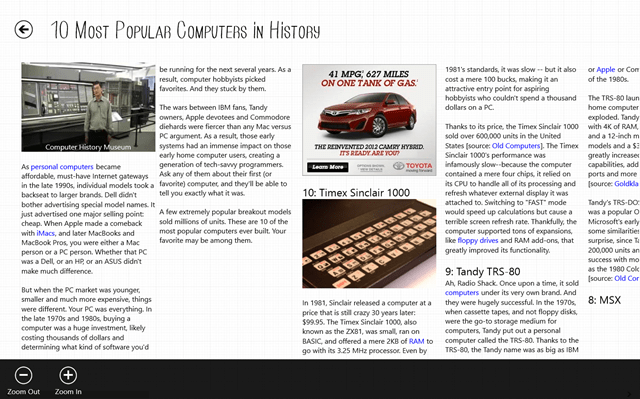 This Windows 8 HowStuffWorks app helps you know about how these things actually works or say How Stuff Works. You can actually know about the logic and process of how it actually works in your normal life. So, you just have to search what you are actually looking for or what do you want to know. And this app for Windows 8 will tel you everything you want to know about the selected thing you use in your daily life. You can browse around a number of varieties over here and can know about various amazing facts and figures that you have never experienced or heard anywhere else. There are a lot of interesting categories where you can find a lot of amazing facts with visuals and quizzes. Topics such as health, animals, entertainment, and the like are included here. 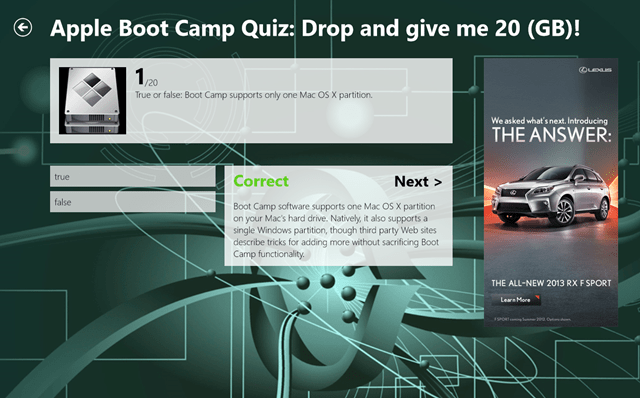 You can also take down various quizzes. You can also browse around different articles and can also watch videos related to those things. You can simply read articles or you can get the straight forward facts about them. You can also check the podcast and can get all kind of information you want to unfold about various small and unanswered things. You can also take down various test series to check your level and can also have fun at the same time. You can take down various topics like technology, adventure, entertainment, culture, science, auto, and a lot of other stuff because, its Windows 8 HowStuffWorks app. So, go ahead and install this HowStuffWorks app for Windows 8 right on your Windows 8 desktop and just get ready to know about everything.